Now may actually be a great time to find excellent manufacturing jobs despite the headlines. Now may be a great time to get a manufacturing job. Manufacturing has always been a great place to kick-start your career, especially if you don't have a four-year degree. But you're worried because you keep hearing about how automation and robots are threatening to replace manufacturing workers? Now may actually be a great time to find excellent manufacturing jobs despite the headlines. According to the Federal Reserve Bank of New York, there have been nearly 1 million manufacturing jobs created in the past nine years, with growth happening across all industries, including transportation equipment, computers, electronics, and food and beverages. And with continued growth comes potential for advancement for those already working in the field. To make it easier for you to find the right job, Monster identified four manufacturing positions ranging from entry level to a management/supervisor position. And then using statistics from the Bureau of Labor Statistics, we highlighted the job duties, median pay, and key search terms so you can get your job search started right away. What you'd do: Pickers and packers are the order-takers of the warehouse crew. You'd fill orders by moving through the warehouse shelves, pulling items in order to fulfill a specific list. Pickers and packers are usually measured by the percentage of line items they correctly pick. What you'd need: This position requires a sense of order and organization, strong attention to detail, and a familiarity with the manufacturer’s products. A high school diploma or GED may be required by some employers, but prior experience in a similar role and can also be helpful. Find picker/packer jobs on Monster. What you'd do: If you're a tinkerer or builder, this could be a great fit. As an assembler, you'd solder, glue, combine, or fabricate parts of a product before passing it along the assembly line where other assemblers complete the process. In this role, you'd be measured by the number of items you produce or assemble correctly within a given period of time. What you'd need: In addition to a high school diploma or GED, prior experience in a similar role is useful. Speed, accuracy, and even some quick fingers are needed for this job. Find assembler jobs on Monster. 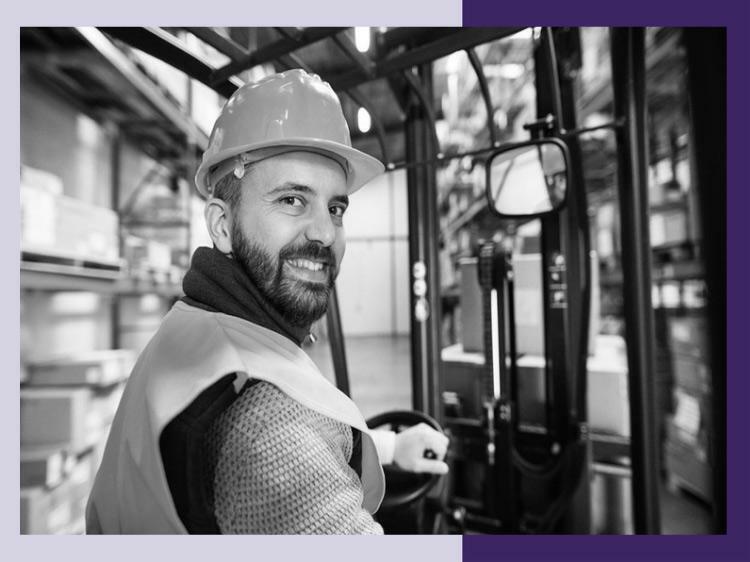 What you'd do: Forklift operators have a wide range of responsibilities, including storing finished goods, weighing or tagging products, and inspecting and maintaining forklifts. You may be required to use productivity tracking software and complete bills of lading for goods being shipped. What you'd need: While a high school diploma or GED may be required by some employers, others may require certification. Prior experience is often a plus. Find forklift operator jobs on Monster. What you'd do: Are you ready to move into a managerial role? Production supervisors oversee the daily operations of manufacturing, including coordinating, planning, and directing the creation of goods. In this high-level position, you'd ensure that your teams hit specific quotas, deadlines, and quality standards. As a supervisor, you'd be measured based on financial and productivity factors for your department. What you'd need: For a manager position, an associate degree may be required by some employers, or two to five years of related work experience with a track record of proven success may be sufficient. Find production supervisor jobs on Monster. Your skills and work ethic are in high demand, but the key to finding a new job is getting noticed by hiring managers. Could you use some help with that? Join Monster for free today. As a member, you can upload up to five versions of your resume—each tailored to the types of manufacturing jobs that interest you. Recruiters search Monster every day looking to fill top jobs with qualified candidates, just like you. Additionally, you can sign up for job alerts, so you're notified when new positions become available. That way, you can be among the first to apply.